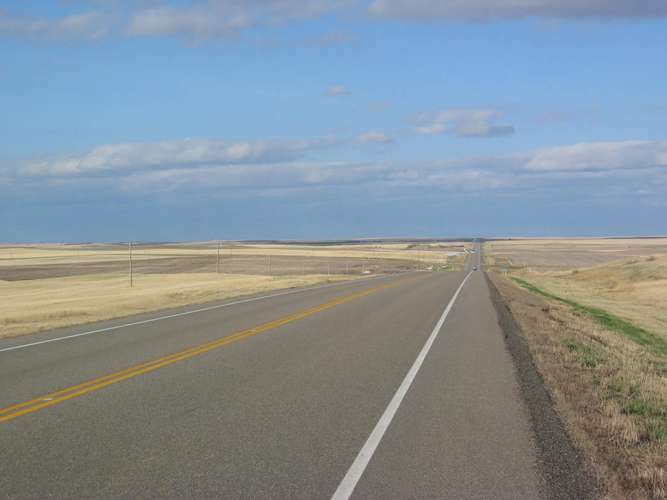 Click to get full picture (161 kB) It's called highway No. 9 in Alberta and No. 7 in Saskatchewan. 26 more photos (badlands in snow, snow plows, weather whims, windblown soil dunes, bison, donkeys, deer, horses, calves, beautiful sunset, oil well) are shown in the slide show below. Clicking there on will show them all.